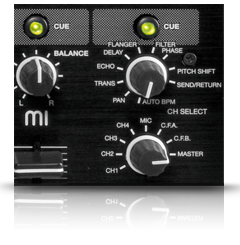 Freely assignable DSP effect unit Excellent sound characteristics due to Premium Sound Architecture (PSA) Symmetrical (XLR) as well as asymmetrical (RCA) outputs 4+1 channel PRO DSP club mixer The new BlackFire edition presents itself in a new, deep black outfit, whereby the RMX-40 DSP will increase its already high popularity. 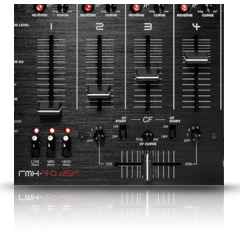 Besides the revised potentiometers and the newly designed, bright LEDs, the professional mixer's DSP effect unit clearly stands out. 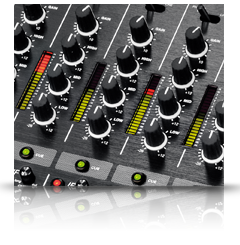 DSP effect power Combined with a beatcounter, the effect parameters can be assigned to differnt timings or they can be modulated manually with a time and a level/depth parameter. A mixer for every occasion. Outputs: 2x master, 1x send, 1x rec.